This post continues my look at Simon Schaffer, “Enlightened Automata” in The Sciences in Enlightened Europe, edited by William Clark, Jan Golinski, and Schaffer (Chicago University Press, 1999). The division of labor in pin manufacturing. From the Encyclopédie. Pt. 4 examined Schaffer’s characterization of an ideology associated with the Enlightenment, reflected in the era’s fascination with automata. This ideology revolved around the belief that physiology, labor, cognition, and social relations could be comprehended in mechanical terms, and governed according to philosophically derived managerial regimens. Pt. 4 also explored Schaffer’s situation of his arguments within a large, diverse, and venerable historiography of the mechanistic aspirations of the Enlightenment. Pt. 5 turns to look at the historical events that Schaffer marshaled into his history of this ideology. 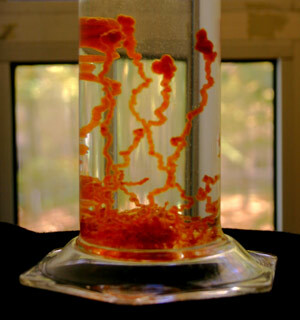 Posted by Will Thomas in Chymistry, Schaffer Oeuvre. In this post we look at Simon Schaffer’s “The Show That Never Ends: Perpetual Motion in the Early Eighteenth Century,” British Journal for the History of Science 28 (1995): 157-189, in which he sets himself the task of explaining the intellectual and political viability of perpetual motion schemes, particularly in “the lands dominated by the Hapsburgs, the Empire and northern Italy” (162). This is a difficult challenge, since, as Schaffer points out, such machines had been subjected to widespread doubt and criticism from the middle of the seventeenth century. Yet, they did have a place, and what Schaffer, I think, accomplishes here is that he makes that place fit more coherently into what we know about how, in general, engineering and philosophical novelties were handled in the early 18th-century milieu. John Smeaton’s experiment to estimate the efficiency of waterwheels. Philosophical Transactions 51 (1759). This post continues our examination of Simon Schaffer’s “Machine Philosophy: Demonstration Devices in Georgian Mechanics” (1994). Last time, we looked at how Atwood’s Machine was used at Cambridge as a dramatic means of convincing mathematics students of the validity of Newton’s laws, which they were expected to use to explain various physical phenomena. Here we examine how proponents of Isaac Newton’s mechanics tried to use the machine to make points with audiences whose perceptions of the reach and fundamentality of Newton’s laws were varied and unstable. First, though, let’s revisit some of the themes of Schaffer’s earlier works to see how this piece fits into a larger picture. There’s not much time these days for researching and writing posts. But I do have little bites of time on the bus and Metro going to and from work, which lend themselves pretty nicely to article reading. I have also come back into possession of all the paper files I put into storage when I went to London, including a big stack of articles written by Simon Schaffer. Yes, folks, the Schaffer Oeuvre series has returned! “Machine Philosophy” is about the uses made of mathematician George Atwood’s (1745-1807) demonstration device (right) . The machine’s design employed a clock and counter-balanced weights hung from a low-friction pulley in order to clearly exhibit Newton’s first law of motion, and especially the quantitative predictions made by his second law, which interrelated force, mass, and acceleration. But the really difficult questions concerned what Atwood’s machine, and related machines, could and could not say concerning the intellectual status of Newton’s laws. Posted by Will Thomas in Chymistry, Tactile History. One of the most pernicious obstacles to effective historical research is a phenomenon I like to call “glazing over” — a tendency to dismiss references encountered in documents as unimportant or incidental simply for a lack of familiarity with them, or interest in them. You just glaze over until you run across something you are already interested in. I suspect glazing over is actually extremely common, but that people don’t like to discuss it, because the lack of familiarity it implies with basic facts still smacks of professional incompetence, or, more snobbishly, interest in overcoming the problem implies a banal interest in empirical history. This is too bad, because not only does systematic glazing over likely skew and limit our historiography in more radical ways than our awareness of our “inevitably subjective perspective” supposes; it prevents historians from taking steps as a profession to readmit factual dexterity back into our practices after a long period of privileging critical reflection. In today’s post, I want to discuss tactile history that works to restore a familiar or palpable meaning to documentary descriptions of natural or experimental phenomena by actively revisiting or recreating what the text refers to. For many decades now, various critics have supposed that the relations between science and society suffer because of the prevalence of an unrealistic view of science as something that is abstract and dehumanized. This supposition licenses the critics to deploy therapeutically realistic images of science to deliver their audience from their false idols into a state of mature understanding. In his paper, “Should the History of Science Be Rated X?” Science 183 (1974): 1164-1172, Stephen Brush supposed the history of science could play just such a “subversive” role in science education. At that same time, according to some stories, the history of science itself had to be rescued from ne’er-do-well myth-spinners working as philosophers of science, Mertonian sociologists, and, of course, American scientists justifying their work to society and Congress. 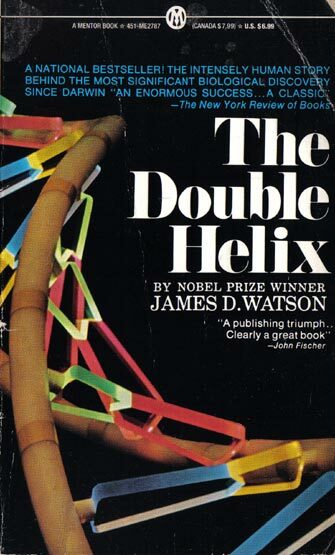 All of this overlooks the fact that our entire society had already been freed from its illusions by James Watson’s best-selling 1968 memoir, The Double Helix. Posted by Will Thomas in Chymistry. I know, I know, my scholarly crush on the chymistry literature is probably getting a little embarrassing. But I want to make sure everyone is taking notes like I am, because William Newman, Lawrence Principe, and their crowd are really putting on a clinic on how to run a proper historiography. The latest lesson is in putting together a good Isis Focus section: “Alchemy and the History of Science”, organized by Bruce Moran, and available free of charge in the latest issue. I’ve been very happy to see this specialty spring to success, receiving both scholarly praise and public exposure in places like the American Association for the Advancement of Science, the Economist, and the New York Times. I am a bit worried that this success will be held up as simply a product of the virtues of historical scholarship. To an extent it should be, for reasons I will discuss, but I also think it’s important that the rest of us — including those of us working in decidedly remote terrain like 20th-century science — pay close attention to what these scholars are doing particularly right. There is a new entry in the dispute between Alan Chalmers and Bill Newman over the legacy of Robert Boyle (1627-1691): Alan Chalmers, “Understanding Science through Its History: A Response to Newman,” Studies in History and Philosophy of Science 42 (2011): 150-153 (free). For EWP’s previous coverage, see here and here. Although the disagreements over Boyle stretch back further, this particular back-and-forth began as Chalmers criticized Newman’s characterization of Boyle’s contributions to chemical science as presenting a misleading portrait of progress. Newman countered that Chalmers misreads his arguments about the place of Boyle’s chemical philosophy in the history of chemistry and natural philosophy. Further, he argued that Chalmers’ portrait of Boyle’s failure to advance chemistry or an atomistic mechanical philosophy through his chemical experiments misreads the nature of Boyle’s philosophical project. Now Newman’s portrait of Boyle’s seems secure, and there is no question that working out historical actors’ projects is a valuable line of historical inquiry. Instead, tables turned, Chalmers draws a programmatic distinction between his and Newman’s historical projects, and defends his project’s legitimacy: his “kind of history is not the only legitimate kind … it is an important and informative kind that does not” — contrary to Newman’s allegations — “involve a misguided integration of history and philosophy of science.” The central question seems to have become whether histories of scientific work can be valid when divorced from an interest in projects that actors explicitly pursued.